For the first piece of exclusive content in Hayden James’ TMN artist residency, we’ve got an interview with the talented Australian artist! Peep the conversation below where Hayden discusses his musical roots, his success thus far and what he’s got in the works. If you’re not yet familiar with Hayden James give our introduction post a read and enjoy some of his fantastic tunes through out this piece. TMN: What was your first musical memory? Hayden James: My mum playing the guitar. She would play Spanish style flamenco stuff. That and my parents listening to Lionel Richie records. TMN: When and how did you first start getting into making music? Hayden James: I started writing a few years ago. I used to DJ a lot so all the stuff I used to write was skewed towards playing in clubs I guess, as opposed to now where I’m writing more songs to be played whenever, wherever. TMN: Your original music has such a distinct groove and emotion to it—can you talk a bit about some of the artists and sounds that you were really into when creating your debut EP? Hayden James: Thank you! It’s really important that my music has that emotional element / connection with people. Artists that give that kind of feeling to me is Daft Punk, James Blake, Jai Paul, Odesza to name a few. TMN: Did singing come around the same time as producing for you or was that a bit later? Hayden James: It was pretty much the same time. I would write these songs and didn’t really know any singers, so I just sang on them myself as demos. From there I started to manipulate / pitch them. I never intended to sing really, but it has worked out so far ;). TMN: So many artists need to flood the market with a slew of releases to get noticed but you’ve amassed a large following on the backs of a few quality releases. How meaningful is it for you to have such an avid fan base at this stage of your career? Hayden James: Yeah it’s so crazy. I’ve only released 2 singles (along side an EP) to date. It’s really amazing to be able to tour so many places around the world with the music i’ve released so far. In an age of constant hype and endless musical evolution, the task of distinguishing artists with true longevity from those with fleeting attachments to current trends proves nearly impossible. As music curators, and hopefully useful filters for an overwhelming influx of content, it tends to fall in our hands to predict the potential for this sort of transcendence amongst new producers and musicians often based off a single project, or even song. When we first heard Australian producer/songwriter Hayden James‘ debut single “Permission to Love” over two years ago, we had a feeling the up ‘n comer was onto something special. The combination of his own soulful vocals with house-leaning, groove-driven production made for an irresistible sound–an emotional approach that has only become more crucial in contemporary electronic music since that time. Even today, “Permission to Love” remains in heavy rotation for the TMN Staff–a rarity with the fast-paced nature of music these days. Simply put, it’s electronic music that compels you to feel as much as it does to dance. James’ subsequent self-titled EP, released on Australian powerhouse Future Classic, helped solidify that seductive style but it wasn’t until his hit single “Something About You,” which featured vocal accompaniment from the talented George Maple, that James truly cemented his spot in the mainstream. Aside from making its way into just about every publications’ best of 2014 lists, and rightfully so, the addictive jam could be heard in DJ sets in every corner of the world garnering support from artists across genres. Fresh off the heels of millions of Soundcloud plays and countless co-signs, James hit the road continuing to release impressive, versatile remixes, but also proving his abilities as a DJ and performer–playing sets worldwide including an appearance at Coachella this year. With a distinguished sound that appeals to fans outside of just electronic music, a multitude of talents and the Future Classic crew behind him, Hayden James undoubtedly has a bright future ahead of him and we couldn’t be more excited to welcome him as our Resident Artist. Stay tuned to TMN for the next month as we’ll be bringing you exclusive content from one of our favorite up ‘n coming producers. 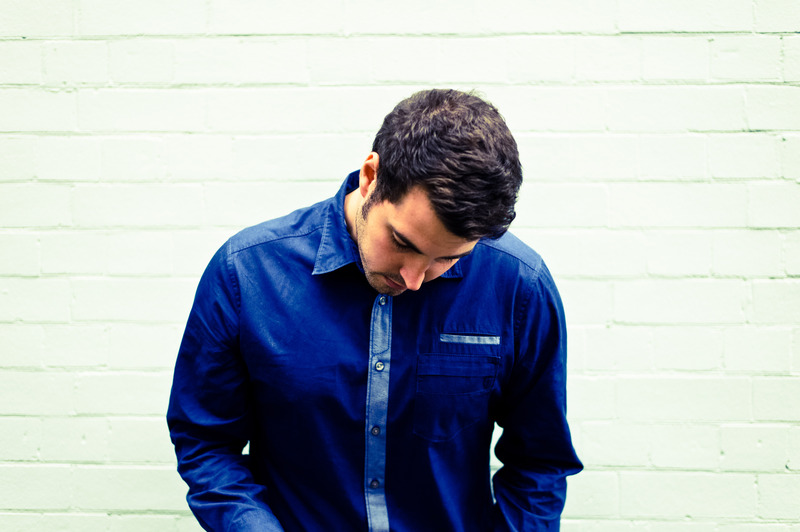 In the meantime, enjoy some tuneage from Hayden James below. Hayden James‘s “Something About You” was undoubtedly one of the best songs to come out in 2014–a gorgeously smooth cut featuring silky vocals from James himself alongside the always amazing, fellow-Future Classic member George Maple. The seemingly, and welcomingly, omni-present ODESZA have been teasing a remix of the jam both on social media and during live sets–today it has officially arrived. In typical fashion, ODESZA truly make the track their own utilizing the vocals perfectly building into an absolutely beautiful eruption that simultaneously evokes deep emotions and makes you want to frolic in a field of feels. In a way, the talented duo are returning the favor after James’ fantastic 2014 rendition of “Say My Name.” Bask in this glorious tune above and keep your eye out for Hayden James in 2015–we caught him at Audio in San Francisco recently and were blown away by his set.